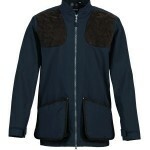 New for Spring Summer 2013 are the Musto Clay Shooting Jacket and Clay Shooting Vest. These are both reincarnations of previous Clay jackets and vests Musto have made, now re-imagined for the new season. 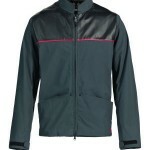 Made from 100% polyamide, the durable jacket and vest are waterproof, windproof and breathable. With polysuede shoulder patches with anti-slide stitching, the jacket and vest also has an inner pocket facility to add their revolutionary D30® shock absorbing shoulder pad. There are easy access cartridge pockets, and a two-way zip won’t leave you restricted. 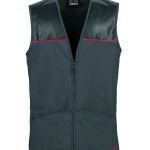 Both the jacket and the vest come in unisex sizing, and are machine washable. Small features such as the Musto Shooting Towel attachment points are simple yet effective details. The Evolution Clay range from Musto provides different layers for all weather situations. 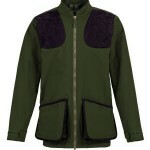 New to the range are the Evolution Clay Shooting Jacket and the Evolution Clay Shooting Vest. As you would expect both the vest and jacket are waterproof, windproof and breathable, and the jacket is non-restrictive, cut with articulated elbows to allow ease of movement. These are made with 100% polyamide, and come with the D30® shock absorbing shoulder pad included. The discrete FITASC line is 25cm from the shoulders for those who shoot this discipline. Both have a drawcord adjustable hem and easy access cartridge pockets. 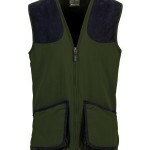 The jacket and vest come in unisex sizing and are machine washable. 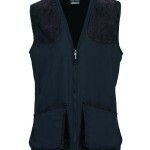 While the jacket is great for unseasonable weather, the vest can be used in summer months, or as a layering piece. These are high performance items, with a stylish finish and are definitely worth paying a little bit extra for. For more information on the D30® pad, please see our blog on Musto Fabric Technology. Clay, Clay shooting, D30 pad, Musto, Musto clay jacket, Musto clay shooting jacket, Musto clay shooting vest, Musto clay vest, Musto Evolution, Musto Evolution shooting jacket, Musto Evolution shooting vest, Musto Shooting Jacket, musto shooting vest. Bookmark. Hi MarkJ! As these vest and jacket are made from 100% polyamide and windproof also along with waterproof, I like these most. Thanks for the honest review. Keep up the good work!